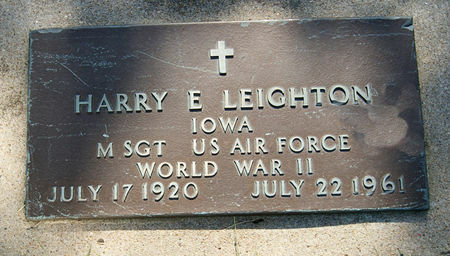 Harry Edward Leighton, son of Glenn Milton Leighton and Floris Hazel Campbell, was born July 17, 1920 near Bedford, Taylor Co., Iowa and died July 22, 1961 near Alcañiz, Zaragoza, Spain. He married Helen Tucker May 5, 1946. Searching for HARRY EDWARD LEIGHTON in Taylor County Iowa?